I have been using Grey Flannel for years. Incredible scent. There is nothing like it. Even though this scent has been around for years it doesn't smell dated. Great Stuff. Just ordered another bottle. 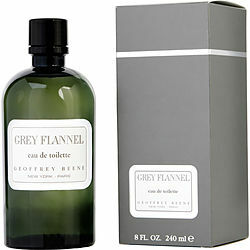 I'm using Gray Flannel since the seventies. Number 1!!!!!!!!! I Love this smell on my man, I love it. Great smelling cologne. Good stuff.